A one-of-a-kind mass spectral imaging instrument built at Colorado State University (CSU) lets scientists map cellular composition in three dimensions at a nanoscale image resolution of 75 nanometers wide and 20 nanometers deep — more than 100 times higher resolution than was earlier possible, according to the scientists. The instrument may be able to observe how well experimental drugs penetrate and are processed by cells as new medications are developed to combat disease, customize treatments for specific cell types in specific conditions, identify the sources of pathogens propagated for bioterrorism, or investigate new ways to overcome antibiotic resistance among patients with surgical implants, according to professor Dean Crick of the CSU Mycobacteria Research Laboratories. The earlier generation of laser-based mass-spectral imaging could identify the chemical composition of a cell and could map its surface in two dimensions at microscale (about one micrometer), but could not chart cellular anatomy at more-detailed nanoscale dimensions and in 3-D, Crick said. The research is described in an open-access paper in Nature Communications and was funded by a $1 million grant from the National Institutes of Health as part of an award to the Rocky Mountain Regional Center of Excellence for Biodefense and Emerging Infectious Disease Research. 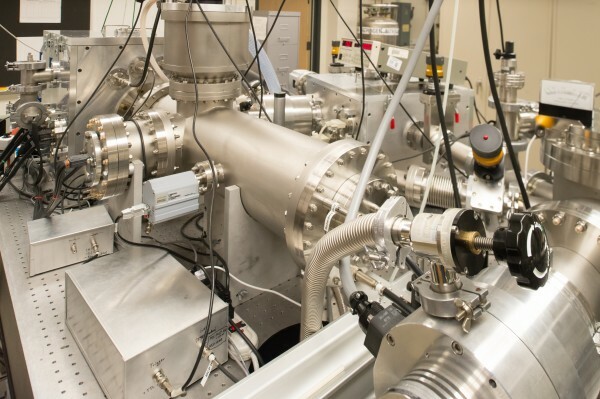 The optical equipment that focuses the laser beam was created by the Center for X-Ray Optics at the Lawrence Berkeley National Laboratory in Berkeley, Calif.
Analytical probes capable of mapping molecular composition at the nanoscale are of critical importance to materials research, biology and medicine. Mass spectral imaging makes it possible to visualize the spatial organization of multiple molecular components at a sample’s surface. However, it is challenging for mass spectral imaging to map molecular composition in three dimensions (3D) with submicron resolution. 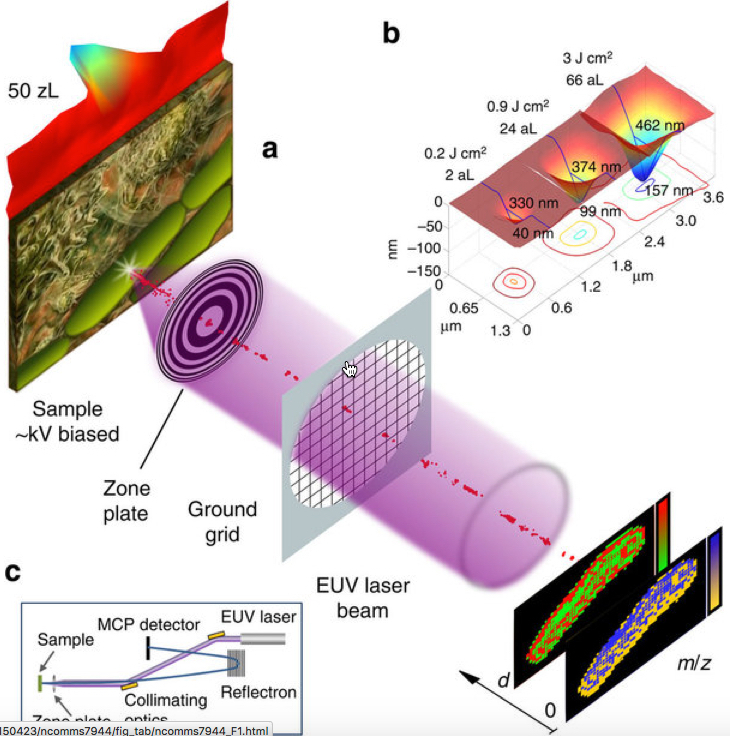 Here we describe a mass spectral imaging method that exploits the high 3D localization of absorbed extreme ultraviolet laser light and its fundamentally distinct interaction with matter to determine molecular composition from a volume as small as 50 zl in a single laser shot. Molecular imaging with a lateral resolution of 75 nm and a depth resolution of 20 nm is demonstrated. These results open opportunities to visualize chemical composition and chemical changes in 3D at the nanoscale.